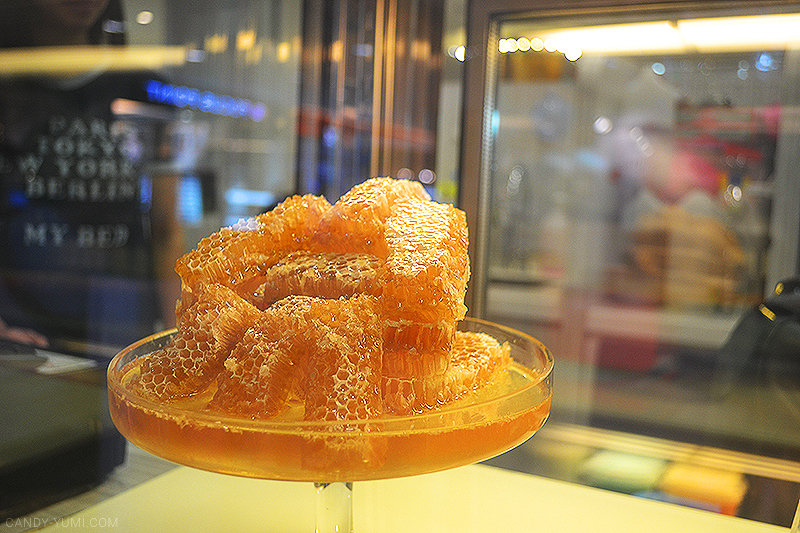 Candy gets hungry #4: Golden Milkcow Experience | C A N D A C E .
If people were to ask me what's the best way to feel rich, I'd say "Go eat a piece of gold leaf." I remember a year ago I had a 20% discount voucher for Milkcow and I wanted to use it but I've went all the way to Gardens and I couldn't find a parking lot. The voucher expired but I ended up at 1U watching Insidious and had a candle light dinner. Which means I've never had Milkcow until a week ago. 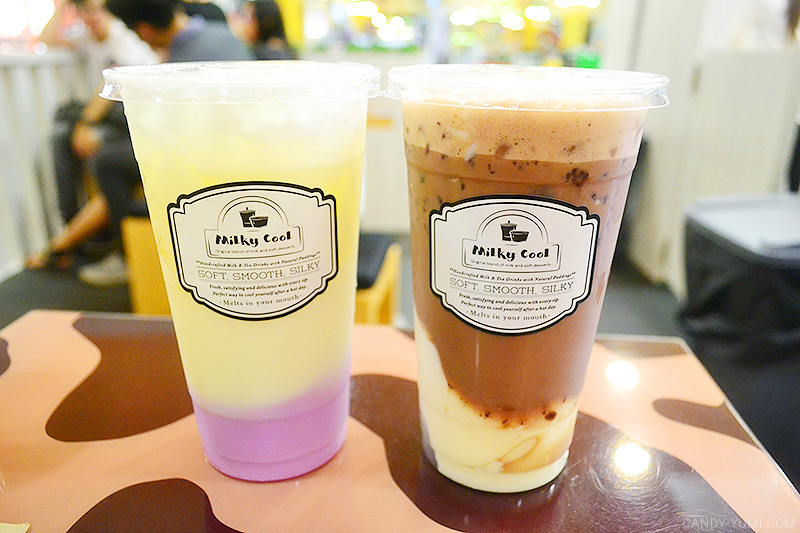 Honey Milk with Yam Pudding (left), Chocolate with Honey Milk Pudding (right) For me, the honey milk was slightly towards the sweet side so I wouldn't say that it's my cup of tea, or should I say milk haha. Nothing really goes wrong with chocolate so I'd say the combination was pretty alright. This my dear dear anyone who is reading this, is the most beautiful drink I've came across so far. I can picture people going gaga over this drink labeling it as a very "tumblr" // "aesthetic looking" drink because of the colour combination. 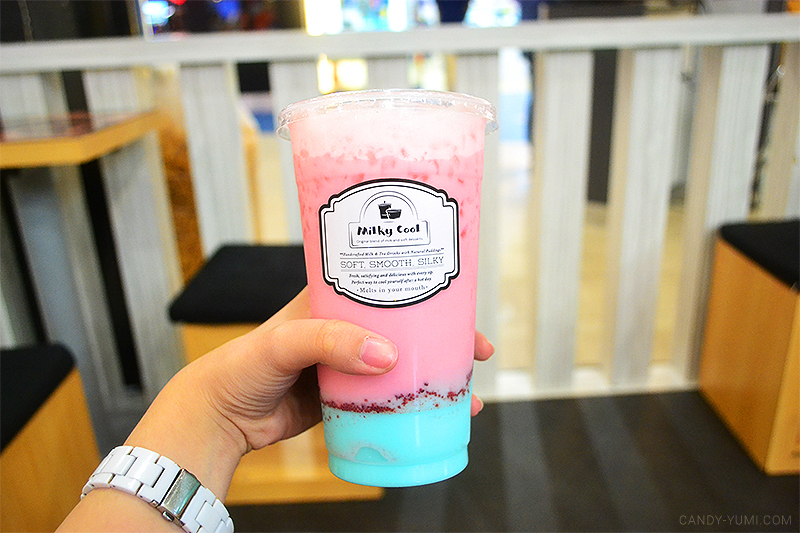 This drink is Strawberry Milk with Bubblegum Pudding. I don't know about you but I didn't need to know the name of the drink to guess the flavours. I'd recommend this to people that are bored of the usual drink flavours, this is something different to try! Now here's the star of today's event. 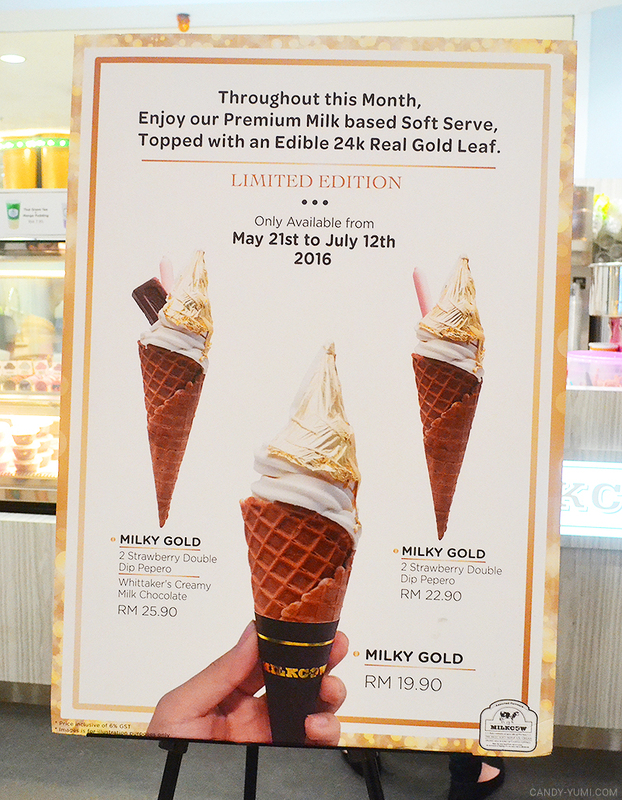 Milkcow's Milky Gold is a Premium Milk based Soft Serve, topped with an edible 24k real gold leaf! This ice cream is only available for a limited time til the 12th of July, so grab one now before you miss the chance to! Here we have the classic Milky Gold. I only remembered to take a selfie after I've took a bite out of it T_T Have been super excited to try this when it first launched because I didn't get to try gold leaf soft serve when I was in Japan last year. 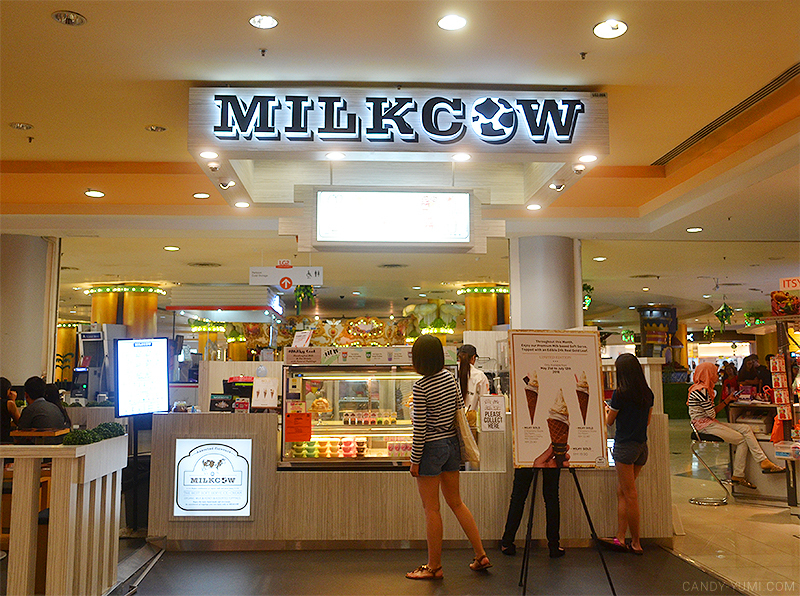 </3 Personally I'd say that their milk based soft serve has a very settled sweetness to it. Not too bland, not too sweet. 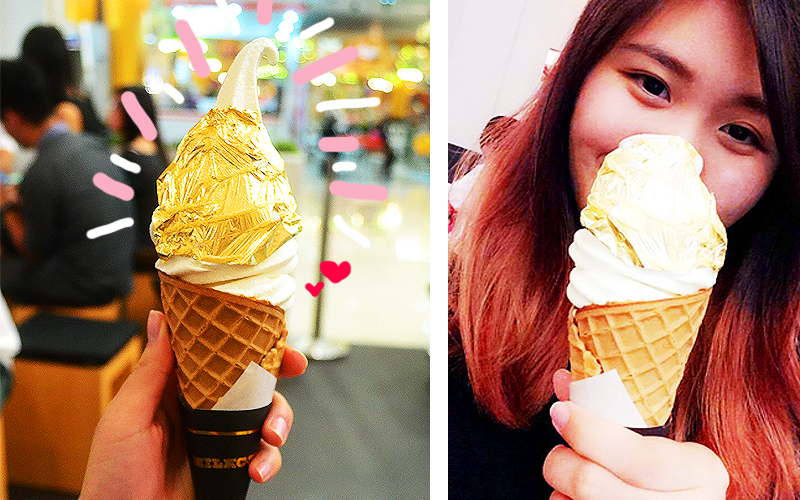 The gold didn't really taste like anything to me but I still felt like a million bucks after eating it so I think if eating gold leaf on yummy ice cream helps with your self esteem, by all means, go for it! This flavour here is their best seller -ever! 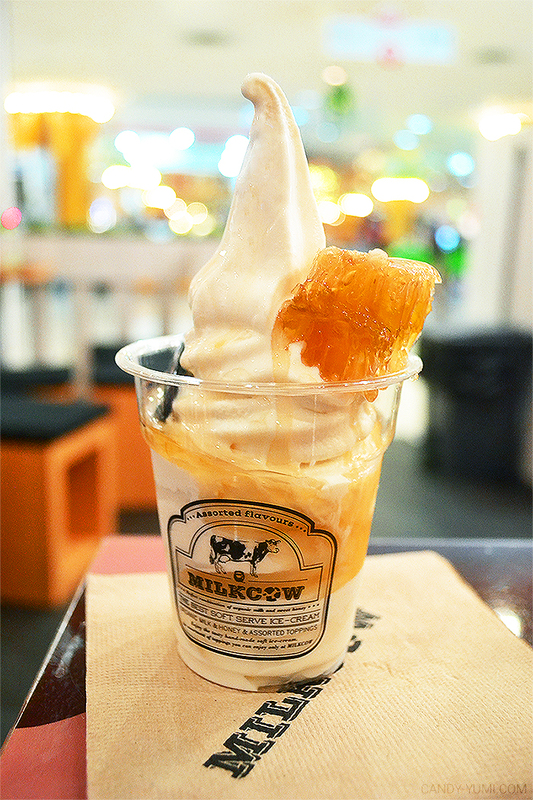 Milky Cube (RM13.50) is their premium milk based soft serve topped with natural honey comb and drizzled with natural honey liquid. As you can see, the ice cream itself already looks prettier than me so no wonder I've seen this so many hundredths of times on instagram! T v T So happy to finally be able to try it and see what's the hype over it. 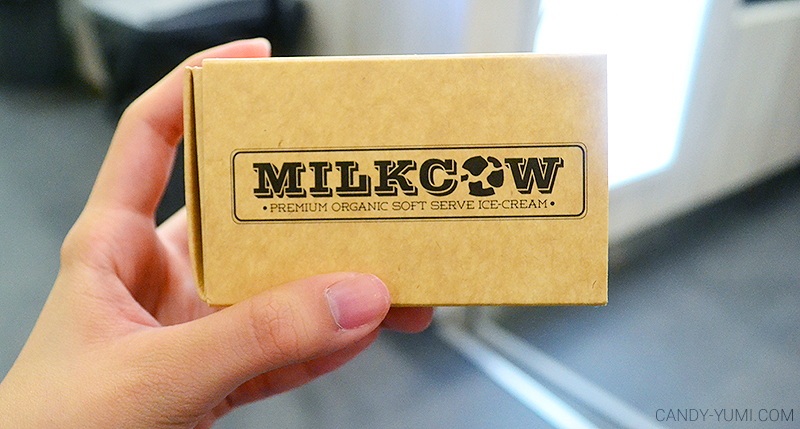 This is also Belle's go-to flavour every time she visits Milkcow! 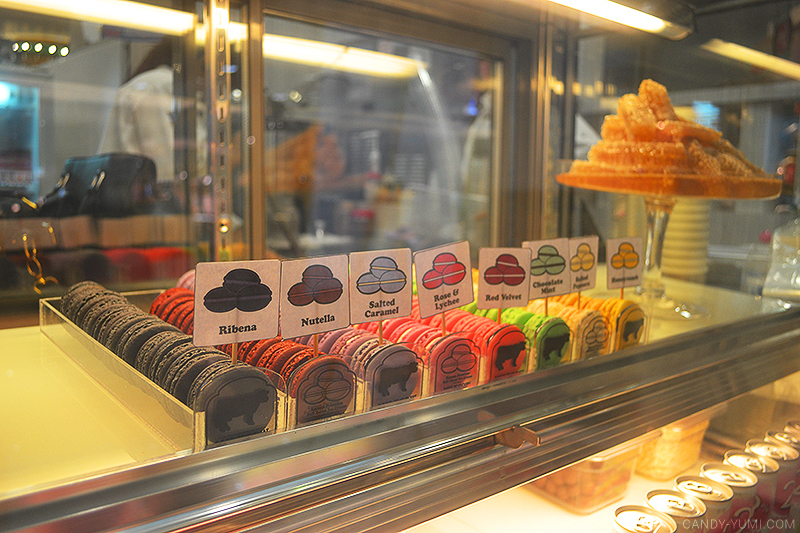 Look at the colourful rows of macarons in display! 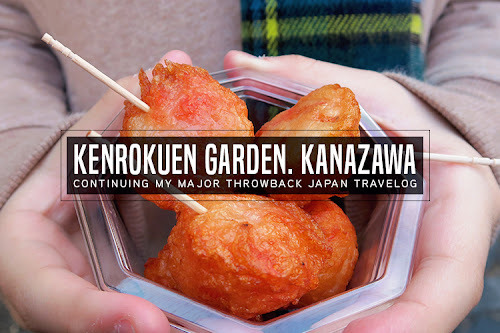 We got to try a few too. 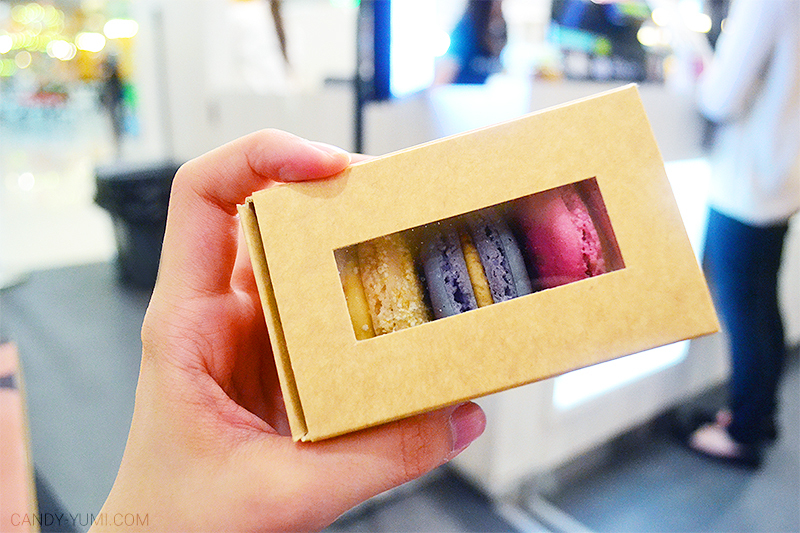 Before I say anything about the macarons, can I just take this moment to appreciate their cute packaging? I know the packaging isn't fancy or what not but the size and material of the box is really cute and flattering. Now back to their macarons, I love how big and round they are. They are fluffy and as for the taste wise I'd say it was pretty nice. We got to try the flavours salted popcorn, salted caramel, and rose & lychee. 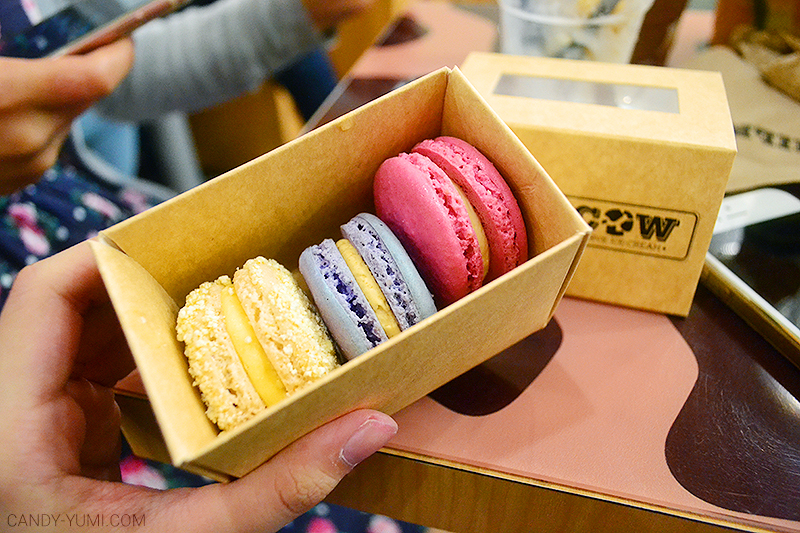 (left to right) Each macaron is priced at RM4.50/pc and RM13.50 for a box of 3. Macarons in general are very sweet but out of the three, I love their Salted Caramel one best (lavender colour) You'd expect Salted Caramel to be brown but it's a mystery how it's lavender coloured instead (good for surprise perhaps?) Salted popcorn was the largest and fluffiest one of em' all, while the rose & lychee macaron was probably the most out of ordinary yet still yummy one. 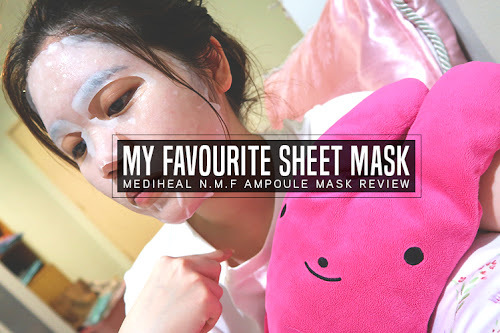 Personally I do find the rose & lychee one a little too sweet for my liking but love the combination of flavours! This sums up my post for the day! 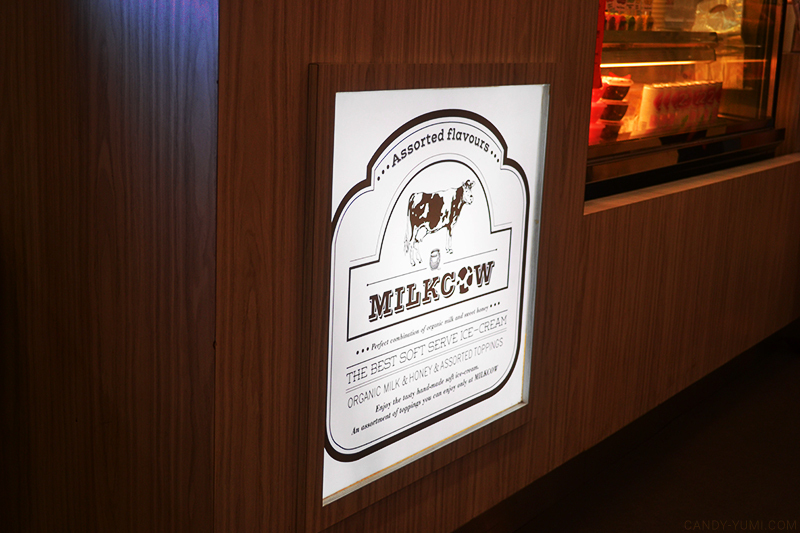 Thank you for Milkcow for having us that day as well as Iman & Amanda for walking us through the variety of menu selections! Remember guys, go get yourselves a cone of Milky Gold before you miss it!! Oh wow, talk about eating gold. 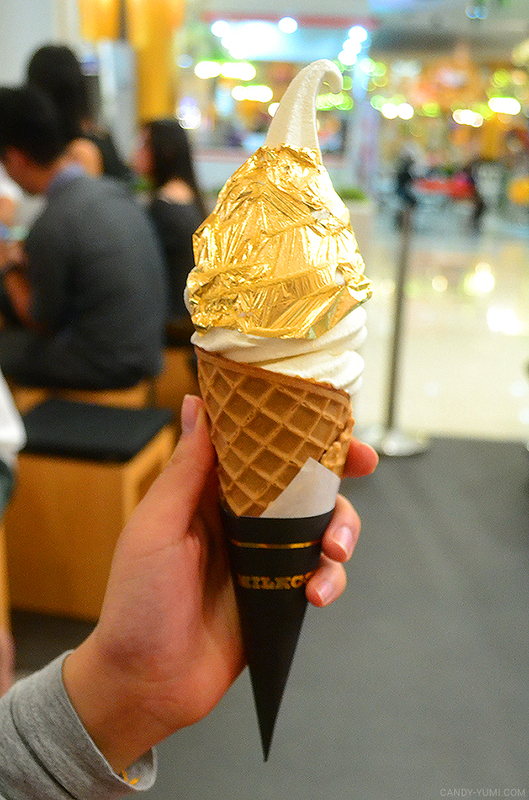 I would definitely feel rich if I were to have this golden ice cream! Can't imagine its taste. so luxurious. I've had the chance to try out gold leaves a couple of times, and they are a touch of luxury. they look expensive but yummy. i guess it's value for money, huh? The gold glow of this icecream is simply tempting. Milkcow has loads of other varieties too. Haven't had the chance to try this amazing gold ice cream. 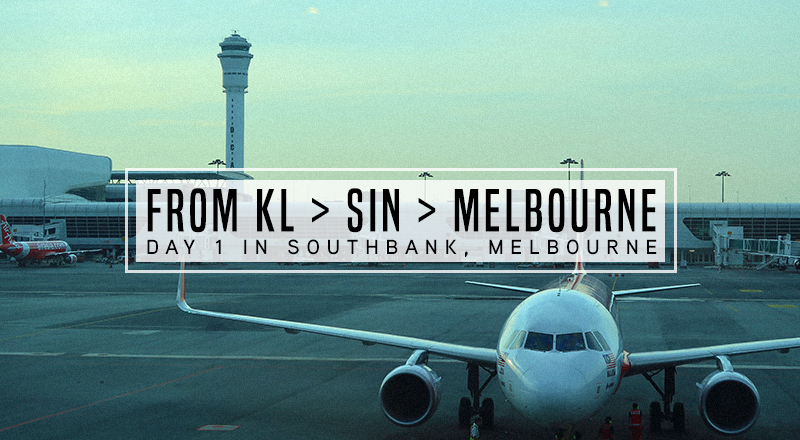 Hopefully will be able to do so soon. 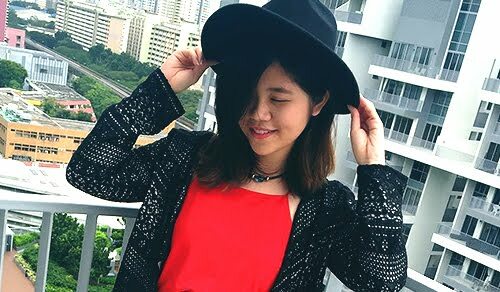 OMG can I drag my bf and go and thy this milkcow? 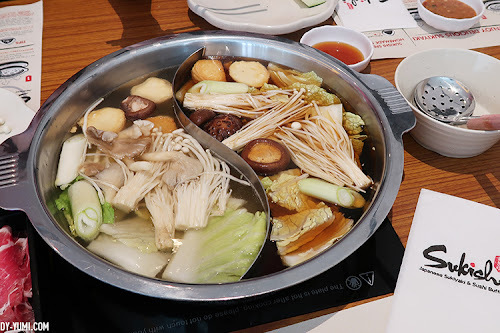 All of them look so tasty and can't resist la! 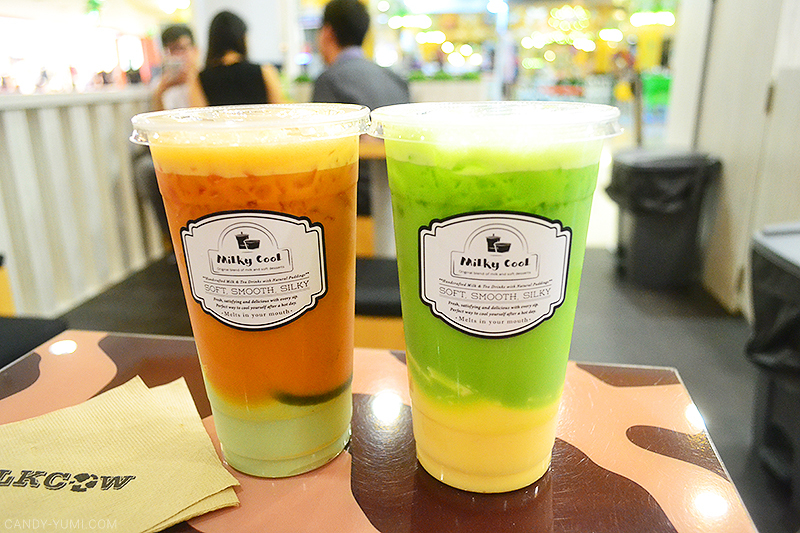 I really love their Thai Green Tea with Mango Pudding drink!! It's sooo good. Thats one fancy ice cream. hehe. been wanting to try it!